SCOR- TAPE Sample Pack - The Perfect Scrapbooking Gift. 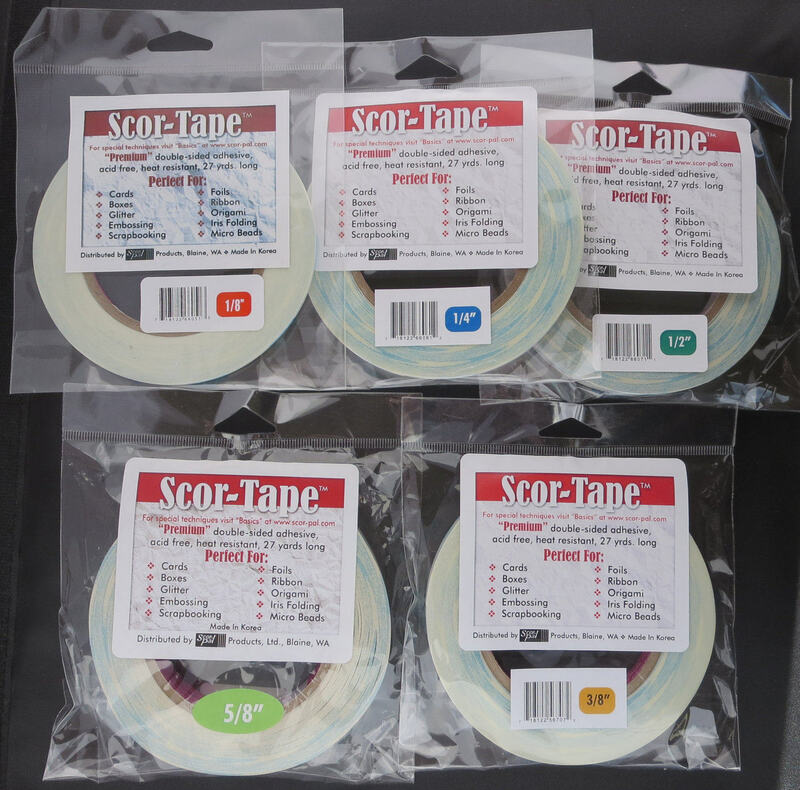 This is a sampler pack containing 5 rolls of Scor-Tape in the following sizes: 1/8", 1/4", 3/8", 1/2", and 5/8". Each roll contains 27 yards of premium, double-sided adhesive tape that is incredibly sticky, heat resistant and acid free. Unlike other tapes, Scor-Tape is paper backed which means you can tear it with your thumb & finger. No need for scissors or blade. Being paper, the backing is eco-friendly. Perfect as always! Thank you!!! Perfect, as always!!! Thanks so much!!! Thank you! Great tape and I like to have a variety of sizes.